Are the IT problems at UK banks caused by outsourcing or the use of decades-old mainframe technology – or is it a combination of the two? When things go wrong in IT, the practice of outsourcing is increasingly being blamed, with recent problems at UK banks no exception. But why is the process of outsourcing IT so problematic? Banks are notorious for their reliance on legacy systems. They use mainframes that have been running for 40 years, and these have been the traditional place to point the finger of blame when things go wrong. But these systems work – it is the lack of understanding of them that is the problem, according to many in the industry. Recent cost-cutting pressure and the increased use of outsourced services, including those provided from offshore locations, are now also being blamed. The combined use of legacy systems and IT outsourcing is blamed for increasing failures as banks hurriedly outsource IT, leading to errors in the transfer of skills, which is essential given the age of systems. One IT professional in the banking sector said the increase in production problems was being caused by cost-cutting, with the use of offshore IT suppliers a contributing factor. “When offshore outsourcing was limited to development and helpdesk services it was not a big issue, but the more recent trend has been to put production support into that model, and that's where I see the problems arising,” he said. UK bank IT systems "a long way from being robust"
Offshore can be okay if it stays in-house and outsourcing can be okay if it remains onshore or nearshore, he added, but the far-shore outsource model is where he sees problems. "If I was the regulator I would ban far-shore outsourcing of critical production support. The outsourcers don't have enough skin in the game, just a contractual penalty or SLA [service level agreement] hiccup,” he said. There are also risks of offshoring to captive centres not just third parties. In 2011 Swiss bank UBS lost £1.4bn due to a rogue trader. This which could have been avoided had a computer used to detect unauthorised trading been more effective. A source in India told Computer Weekly that the problem occurred in a USB captive in Hyderabad. He said unlike suppliers, which have processes that must be adhered to, captives are less stringent. He said the rogue trading was missed because data had been deleted as part of a system upgrade. "If there had been a process, like that of any supplier, this would not have happened." Another IT professional, with good inside knowledge of the Royal Bank of Scotland’s technology, said outsourcing was at the heart of the recent IT problems suffered at the bank. In summer 2012, the bank's customers were unable to access their accounts for days, as a result of software issues. The glitch in the CA7 batch process scheduler ended with 12 million customer accounts being frozen. Customers were left unable to access funds for a week or more as RBS, NatWest and the Ulster Bank manually updated all the account balances. RBS said the problems cost the bank £175m. As a result of the software glitch, the Financial Services Authority (FSA) demanded details of how major banks planned to prevent a repeat. But Neil Kinson, vice-president EMEA at Redwood Software, said IT outsourcing/offshoring in itself is not the problem. "We hear a great deal about legacy IT systems causing bank glitches, and outsourcing has often taken the blame for its associated problems of slow response times, lack of visibility and human errors, but outsourcing itself is not the problem. The real issue is the siloed and fragmented approach we are seeing from banks towards their core processes,” he added. “While outsourcing certainly brings problems such as slow response times and lack of visibility, these issues would not exist if businesses had the right processes in place. That is to say, where back office functions take place, whether that be on British or international soil matters much less than how these processes are executed. While outsourcing itself might not be to blame, the management of the outsourcing transfer must take some blame if a knowledge gap opens up. "It is the responsibility of management to keep the right people with the right skills in-house," said an industry source. "The outsourcers don't have enough skin in the game"
It doesn't matter what country or what industry you're in, this statement really hits the nail on the head and is the source of so many issues! We currently having outsourcing (both onshore and offshore), and they really are the nicest people. Some have worked with our team for years and some of them we have been able to meet fact to face. However, they'll never feel like "real" team members. The full-time office workers, I see each day have so much responsibility on their shoulders and are fully invested in doing a good job and addressing many daily issues. We always include the outsourced contractors in our team meetings, but our BA once commented that they never say anything. It's because they don't care; and they don't need to care because they have no vested interest in decision making activites. Often, it's the decision making that is really the difficult burden. 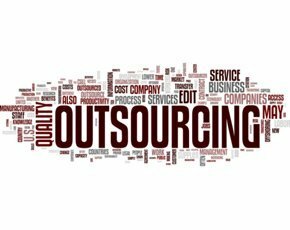 The outsource resources simply wait to be told what to do, and oftentimes they don't even carry it out very well. Why do most IT Failures happen. Yes there are benefits to having an offshore team. There are weaknesses to it as well. So in that vain, it is my expectation that companies need to be proactive in finding where outsourcing actually is useful and where they need to keep things in house. One more thing I just thought of, in a world where telecommuiting is becoming ever more common, having everything in house, does not mean, necessarily having everything in the same building. It may be that a person with key skills you need is tied down to a mortgage in a far away state, or it may be that some work can be better done by a small group. Communication remains paramount though, always has.. always will.